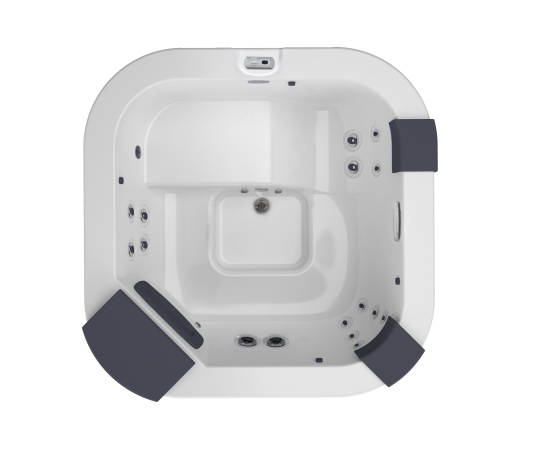 Delfi is a 4-seater hot tub (including a lounge)provided with adjustable Power Pro® jets for a complete hydromassage of progressive intensity that offers you the possibility of following a real wellness path. Provided with Clear Ray™ technology (optional) for perfectly clean and hygienic water, it boasts a modern design that beautifies any setting with its very clean lines and carefully engineered details. 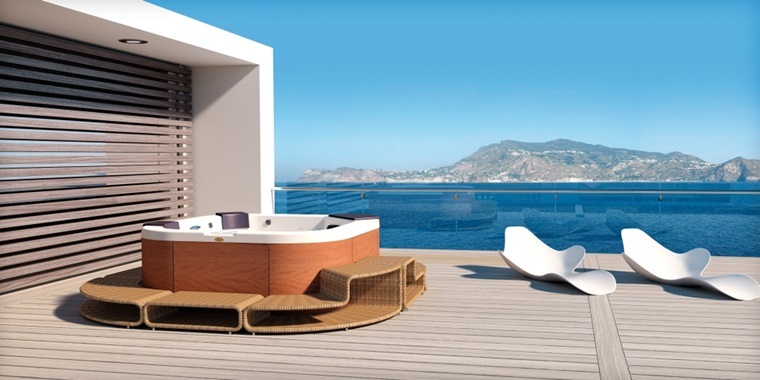 Its contemporary design that conceal all the components in the spa deck, together with its light and airy aesthetics offer a unique style. Items in bold highlight differences from standard Delfi model. Items in bold highlight differences from Delfi Pro model.